Harding Black was born on a farm in Nueces County between Ingleside and Aransas Pass and moved with his family to San Antonio in 1916. There he graduated from Brackenridge High School and attended San Antonio Junior College (1929-30). In 1931 Black joined an archaeological expedition to the Big Bend area sponsored by the Witte Memorial Museum. Initially a painter, he was taught by Rudolph Staffel in 1933 to make wheel- thrown pottery and in the same year began to teach children's ceramic classes at the Witte. Between 1937 and 1939, Black directed ceramic installation in a San Antonio reconstruction project sponsored by the National Youth Administration and the Works Progress Administration art program. 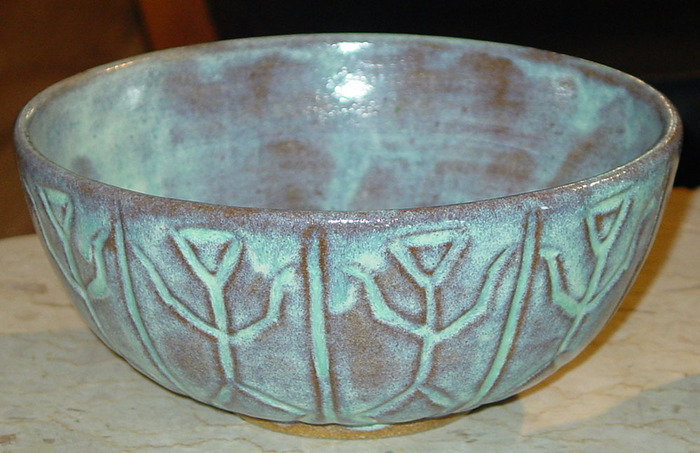 In 1955 he retired from teaching and devoted his time to ceramics. Black became a well-known ceramist from his research, innovations, and writings in the field. Exhibitions: San Antonio Local Artists Annual Exhibition (1939-42, 1945, 1947); Texas General Exhibition (1940 award, 1942, 1948 honorable mention); National Ceramic Annual Exhibition, Syracuse Museum of Art (1947-54); River Art Group, San Antonio (1948-49); National Collection of Fine Arts, Washington D.C. (1951, 1956); Dallas Museum of Fine Arts (1952 one-man); Martin Museum of Art, Baylor University (1991 one-man); San Antonio Museum of Art (1995 retrospective); National Museum of Art, Washington, D.C. (1995); University of Texas at Dallas, Irving (1998 retrospective). Collections: Dallas Museum of Art; Museum of Fine Arts, Houston; San Angelo Museum of Fine Arts; San Antonio Museum of Art; Martin Museum of Art, Baylor University, Waco; National Museum of American Art, Washington D.C.; New Orleans Museum of Art; Everson Museum of Art, Syracuse, new York; Alfred University (New York). Harding Black resided in San Antonio Texas where he worked as a potter for over 60 years and far as anyone knows he was completely self taught. I find it amazing that anyone could ever accomplish what he did with with no formal training in either ceramics or chemistry. 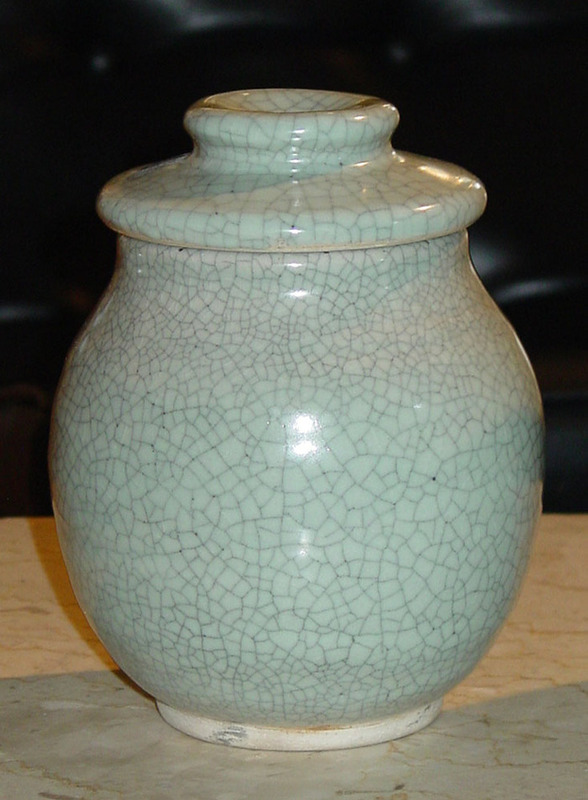 It was a long and prolific journey from the early hand built earthenware pottery to become recognized as a master of glazes. While I feel that his forms often could be better this is more than compensated for by the spectacular glazes he developed. Constant experimentation and his acquired knowledge of chemistry were the foundations for the wonderful glazes that adorn his pottery. The following quote is from an interview with Rudolf Staffel His copper reds are unbelievably beautiful. Harding was a master of glazes and one of the most generous human beings in the ceramic field that I've known. He had literally a room full of beautifully organized test tiles of all his glazes, and he would just throw the room open to anybody who wanted to rummage through his tiles. All the recipes were there and he shared them with anyone who was interested. It was wonderful to go and visit him. Although accurate records of all test firings were kept for reference it I have been told that it would be difficult to reproduce many of these glazes because of the kiln he built and clays he used. This may not be the case because in a recent phone conversation (4/11/2007) with Peter Pinnell he told me that some of his students had success replicating some glazes using Harding's formulas By concentrating on the bowl and vessel forms Harding remained true to the historical traditions of pottery making. The magnificent Harding Black journey began in 1932. At that time he joined the Witte Museum Archaeological Society which provided him with access to their collections of Native American pottery. Harding became fascinated by these pollychromed vessels and he began attempting to create hand built pots. He had very little or no success but a life long of working in clay had begun. It was about this time that he met up with Rudolf Staffel and it was from him that Harding learned wheel throwing and developed ideas of how to operate a studio. Harding was given access to working space at the Witte where he built a wheel and in 1933 he was given a position as ceramic instructor. In this position it was his responsibility to establish a ceramics department. The first kiln Harding built was using plans that were obtained from Newcomb College. He scrounged parts from a junkyard which were used in its construction. This project was not totally successful because of problems reaching required temperatures. As usual this did not deter Harding. He seemed to have a wonderful ability to learn from failure and move on. In the early 1940's Harding began working with formulas for copper red glazes prepared by Arthur Baggs and Edgar Littlefield. 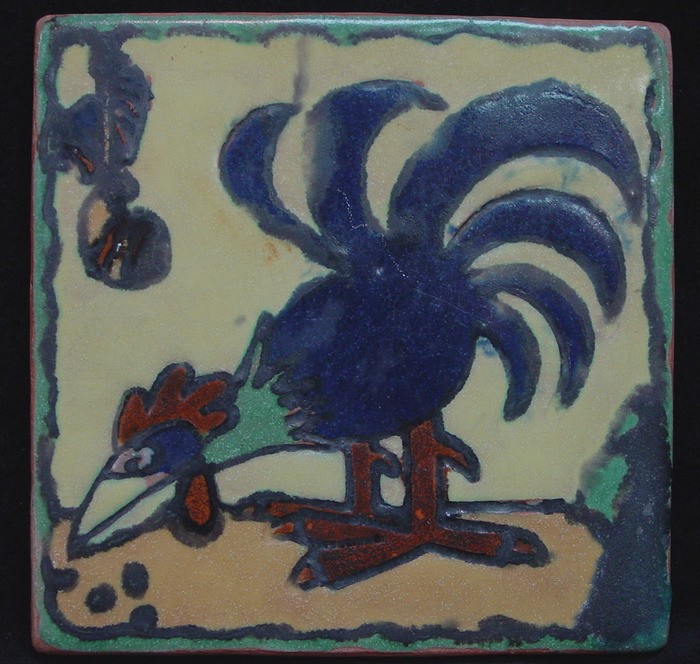 This work only added to his interest in Oriental pottery and fostered a desire to rework many old glazes. Being greatly influenced by A Potters Book published in 1940 by Bernard Leach Harding was now on his way seeking to incorporate form, function and surface treatment into a single entity where the whole is greater than the sum of the parts. In the 1950's Harding left the Witte and built his own studio where he spent the rest of his life creating his wonderful art. The body of his work is a living tribute to the Harding Black lifelong love of ceramics. Along with being a researcher he was also a teacher always willing to share his knowledge with others. He spent his life producing pots and occasionally taking time off to do a bit if fishing. According to Harding Black - Harding Black 11/14/90 "I am one of the lucky ones. When I get up in the morning I can hardly wait to get to work." 1912 Born April 15 near Aransas Pass, Texas 1916 Family moved to San Antonio 1929 Graduated from Breckenridge High School 1929-30 Attended San Antonio Junior College 1931 Joined Archaeological Society of the Witte Museum, San Antonio, and participated in excavations of ancient Basket maker Indian mounds and caves in the Big Bend area of Texas 1933 Taught by Rudolf Staffel to make wheel-thrown pottery. Set tip studio in a streetcar behind Witte Museum and began teaching children’s ceramic classes 1937-39 Appointed Superintendent of Ceramic Installation for N Y A /W P A reconstruction project in San Antonio 1943 Moved from streetcar studio to new facilities in the reconstructed Ruiz House on the grounds of the Witte Museum Began firing to stoneware temperatures 1947-54 Exhibited each year in the annual National Ceramic Exhibition, Syracuse Museum of Art 1951 Exhibited at the National Museum of Art, Washington, DC 1952 Toured ceramic centers throughout the United States 1953 “Opening the Door to Copper-Reds” by Harding Black, published in January issue of Ceramics Monthly “Harding Black Profile” published in February issue of Ceramics Monthly 1954 “Iron Spotted Glazes” by Harding Black, published in February issue of Ceramics Monthly 1955 Built present studio at 8212 Broadway, San Antonio Retired from teaching at the Witte Museum 1956 Exhibited at the National Museum of Art, Washington, DC 1961 “Lava Glazes” by Harding Black, published in October issue of Ceramics Monthly 1964 “Harding Black Texas Potter” by Jean R Lange, published in November issue of Ceramics Monthly 1971 The Meyer Family Master Potters of Texas, co-authored by Harding Black and Georgeanna H Greet 1980 Harding Black’s biographical information entered into the archives of the Smithsonian Institution, Washington, D C 1983 Harding Black traveled throughout China 1984 Awarded Glaze Research Grant by Southwest Craft Center, San Antonio 1985 Solo exhibition at the Southwest Crafts Center 1987 Selected as Artist of the Year by the San Antonio Art League 1988 Incarnate Word College, San Antonio, establishes Harding Black Fund to aid ceramics students 1990 “Harding Black Pottery Pioneer” by Thomas Turnquist published in the Journal of the American Art Pottery Association (Volume V, No 5) 1991 Elected Honorary Member of the National Council on Education for the Ceramic Artists (NCECA) Retrospective Exhibition presented in the Martin Museum of Art. 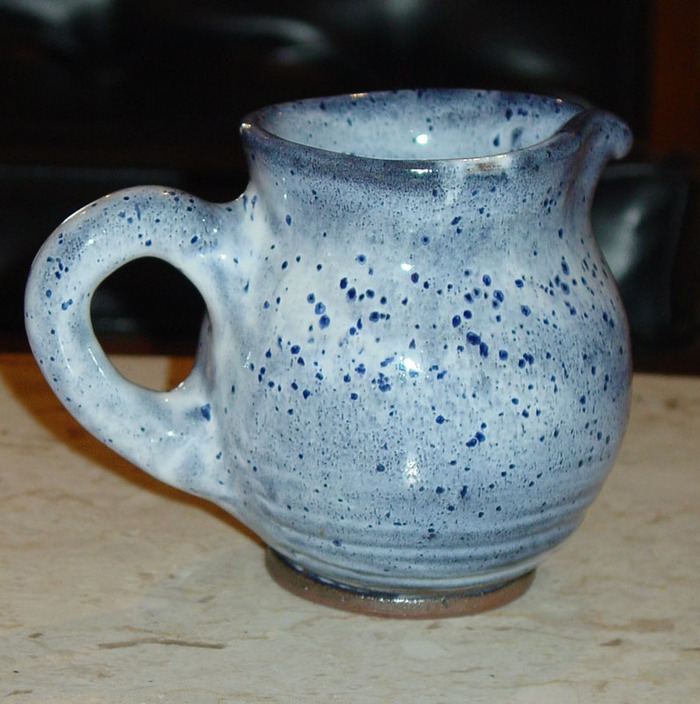 HARDING BLACK BIBLIOGRAPHY “Lava Glazes,” Ceramics Monthly. October, 1961 “Opening the Door to Copper-Red Glazes,” Ceramics Monthly, January, 1953 “Iron Spotted Glasses,” Ceramics Monthly, February, 1954 “Harding Black Profile,” Ceramics Monthly, February, 1953 Lange, J , “Harding Black Texas Potter,” Ceramics Monthly, November, 1964 Greer, G. and H. Black, The Meyer Family Master Potters of Texas, Trinity University Press. 1971 Juvan-Savoy, C , “Molding His life’s Work,” Sunday Express News, San Antonio, January 23, 1983 Young, M ,“Feats of Clay,” San Antonio Monthly, March, 1986 Black, H , “In Search of the Basket makers,” San Antonio Monthly, March, 1987 Turner. T “Harding Black Toward a Future Understanding,” Artist of the Year Exhibition, 1987, San Antonio Art League, Turnquist, T , “Harding Black Pioneer Potter,” Journal of the American Art Pottery Association, September-October, 1990.